After going over the basic brain anatomy and the different function of the brain, the next lesson is explaining the difference between the left hemisphere and the right hemisphere. Explain to the students that each hemisphere has all four lobes — frontal lobe, parietal lobe, temporal lobe and occipital lobe. 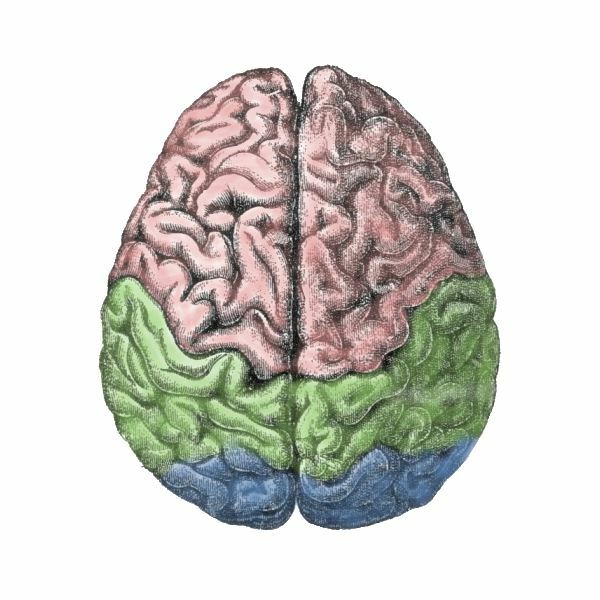 Point out that the two lobes are connected by the corpus callosum. If you have a 3-D model, show students the corpus callosum. Point out that if the corpus callosum is cut, such as with split brain surgery, the two halves of the brain act independently. Students can also refer to the study guide for further guidance. Note to students that information from the left hemisphere crosses over and controls the right half of the body. Explain to students that one of the main left hemisphere functions is language. Remind them that two of the language centers of the brain — Broca's area and Wernicke's area — are both located in the left hemisphere. Point out that the left hemisphere is also responsible for other logical functions, like math. Point out that like the left hemisphere, the right hemisphere controls the left half of the body. Explain to students that the right brain has more creative functions, like music and visual imagery. Point out that the right brain is also responsible for spatial and face recognition abilities. 1. What kind of music do you prefer? 2. What is more important to you? 3. How to you figure things out? 4. When making a decision or choice, what do you go with? 5. What do you prefer being? 6. What activities would you most like to do? Point out to students that if they answered mainly “a," then they are left brained, and would benefit from visual learning; if they answered mainly “b," then they are right brained, and would benefit from verbal learning. Encourage students to integrate their learning style (verbal or visual) into how they study.